Biosecurity Solomon Islands (BSI) is a department within the Solomon Islands Ministry of Agriculture and Livestock. It is mandated to manage the biosecurity risks associated with the movement of goods (trade) and people into and out of Solomon Islands. Solomon Islands is fortunate to be free of many pests and diseases found in other countries nearby and worldwide, this provides considerable advantages to Solomon Islands agriculture, trade and environment. BSI is charged with maintaining this advantage but can only do this with the cooperation and support of everyone. See Why We Need Biosecurity. Wholesalers, retailers, farmers, plantation owners, pet owners, growers, agriculture, research, all live plants or animals & machinery or vehicles. Special import conditions can be developed for uncommon imports. Producers of plant or animal products, export agents, phytosanitary or sanitary certificates for compliance with importing country requirements. Also those who wish to have export conditions developed for their product. Tourists and returning Solomon Islanders, missionaries, crew from ships, aircraft & yachts, diplomats & VIPs, business people. All import and export conditions apply to all travellers. Look here for a quick overview of requirements.  Every person in Solomon Islands has a legal obligation to report any new pest and disease to biosecurity authorities. Click to contact us and make a report.